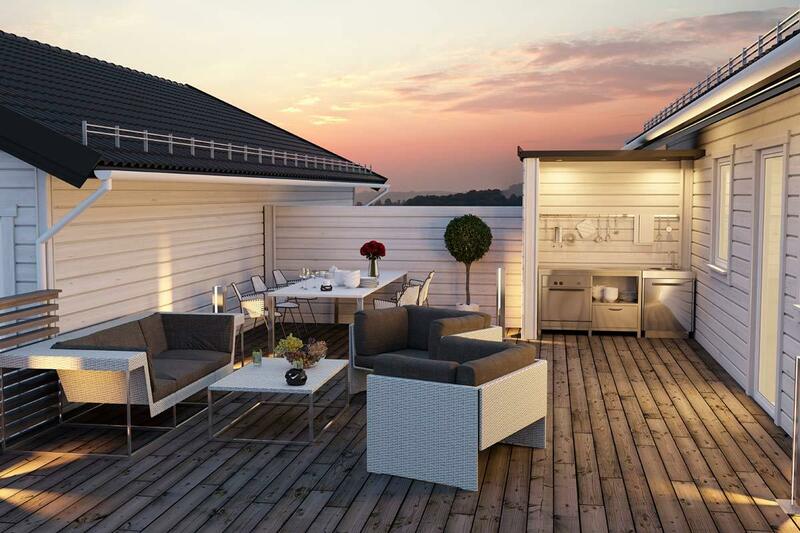 Apartment living usually means sacrificing the luxury of space and if you're lucky enough to have a patio it probably doesn't accommodate a large dining table. 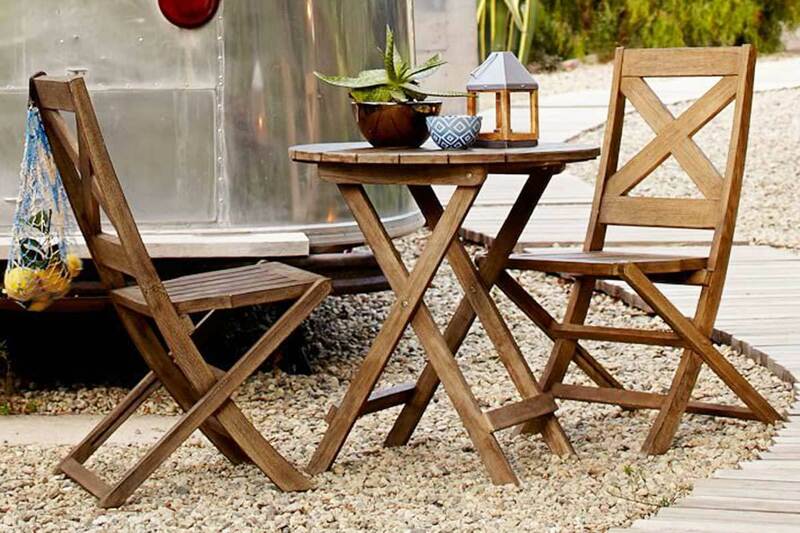 Before you start sulking over the size of your outdoor space we'd like to present you with a list of some of our favorite, most affordable and most space-efficient dining sets for sale on the internet today. Enjoy! The award for space saving excellence goes to this lovely wood set from Ikea. 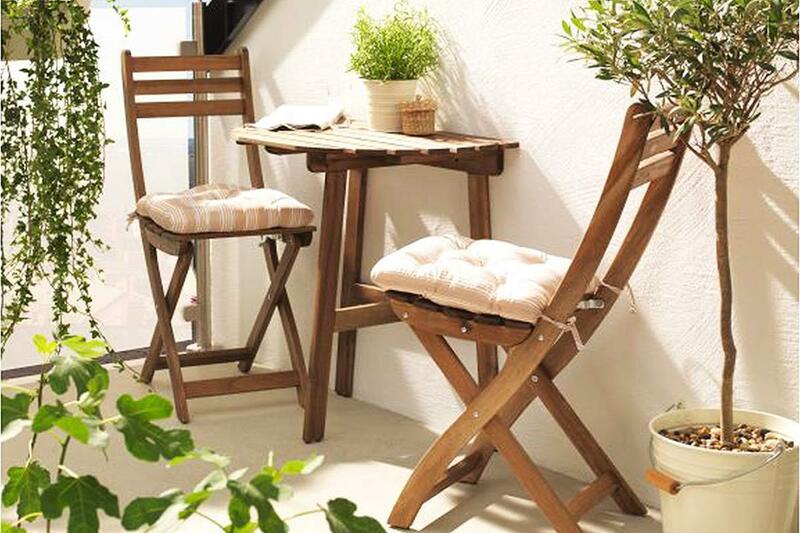 The half table easily sits flush against a wall and the two chairs fold for quick storage. 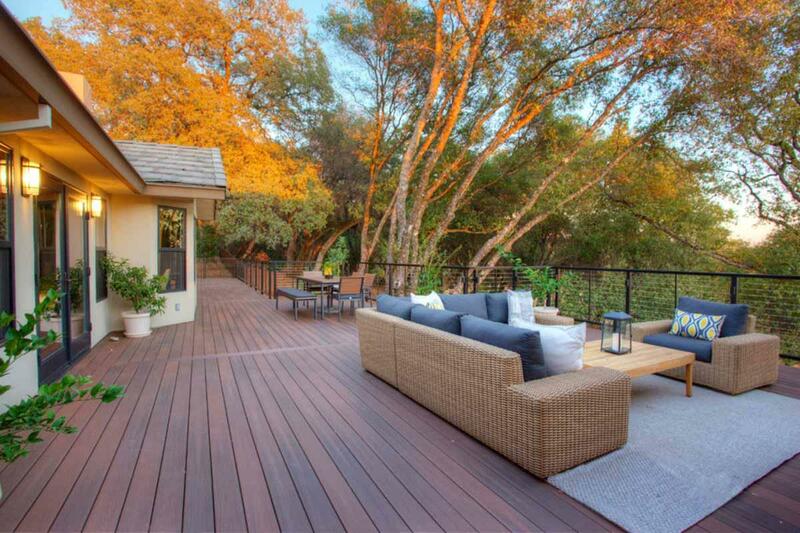 The wood is weather treated and adds a bit of warmth to your cozy balcony. You can pick up this very affordable set from Ikea for $57.99. This set from West Elm might be a bit steep compared to the ASKHOLMEN from Ikea but its construction and materials are much sturdier. You can be assured that West Elm's responsibly sourced FSC®-certified tropical hardwood is both weather resistant and durable giving you a set that is built to last. 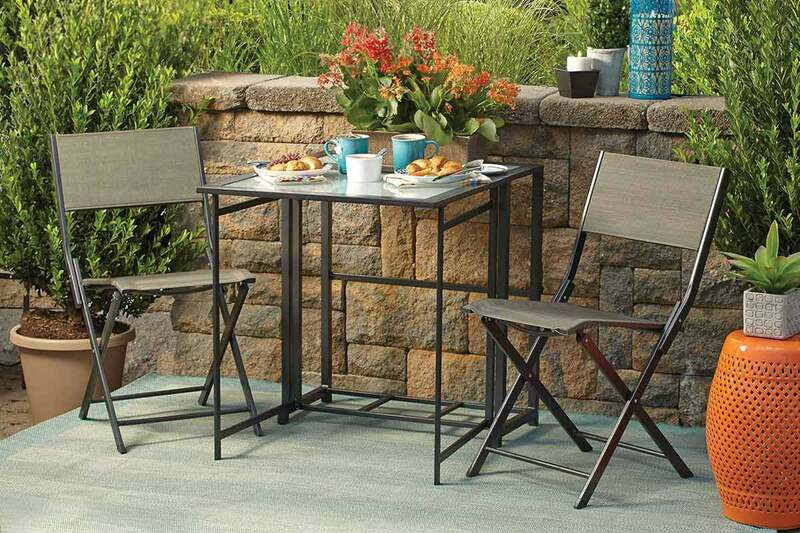 The bistro table seats up to three but comes with two chairs only for $379 from West Elm. Designed and made in Italy Nardi is one of the most trusted names in the commercial outdoor furniture game and chances are you've probably sat in one of their chairs at some point in your life already. 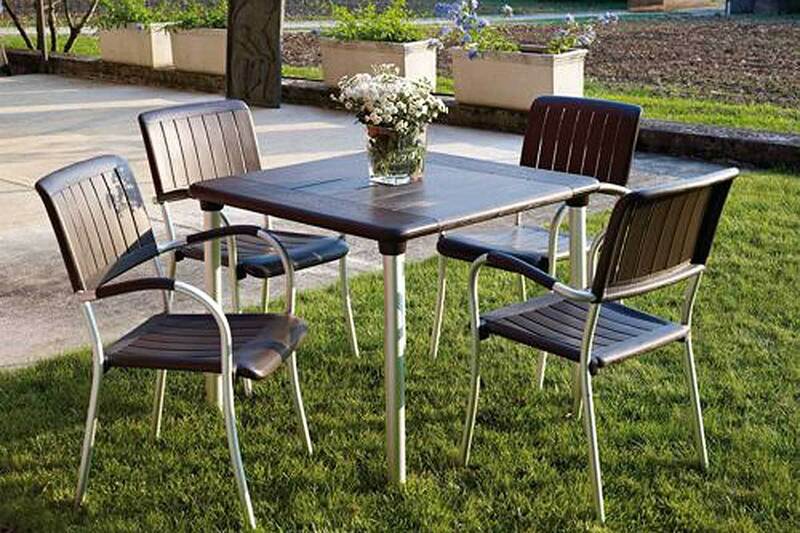 This lovely set which is available at Costco for $499 is made to last a lifetime.The four chairs and table are made of a 100% composite resin which does not chip, peel or rust. 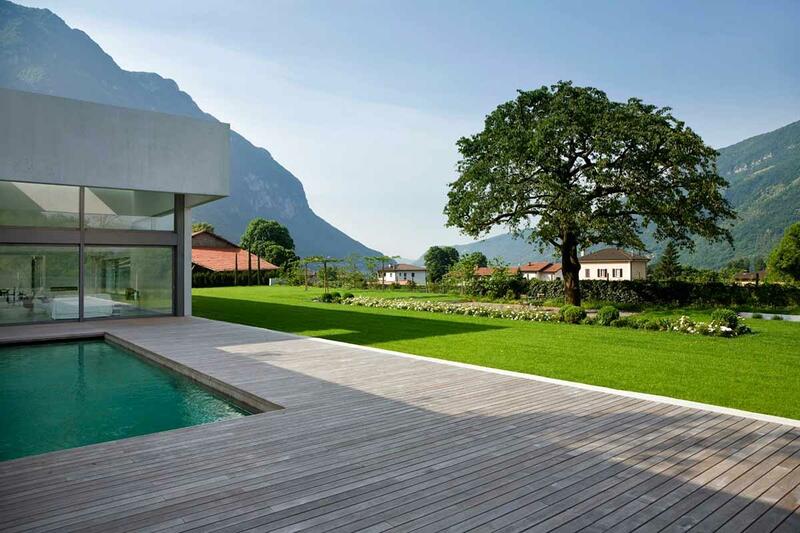 These surfaces are supported by anodized aluminium legs which are lightweight and adjustable. While this set isn't cheap it is the one that will retain its value the most. This lovely dark wood stain set is not dissimilar from the other Ikea set above, but the big difference is that it is potentially much bigger. Two folding leaves allow for this table to go from a two seater to a six seater depending on what kind of space you have. Slightly pricier than the other option from Ikea we think this set is worth it at $149 from Ikea. 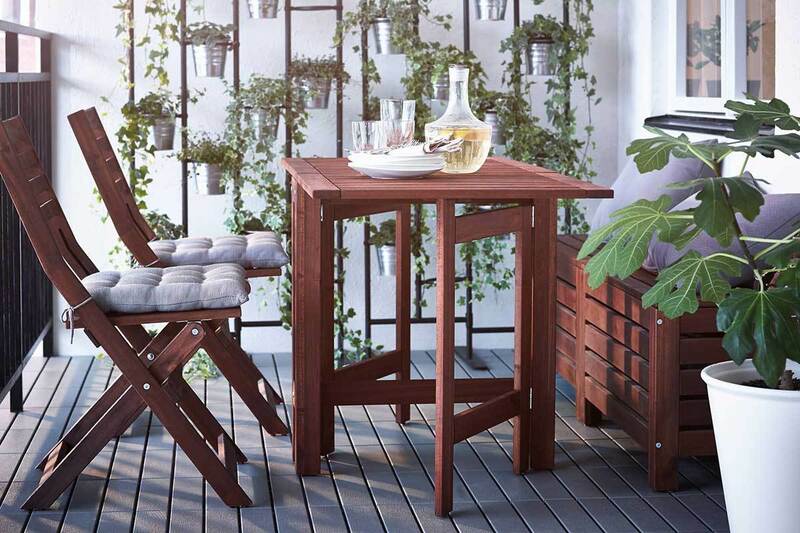 Arguably the most compact set we have seen, this table and chairs all fold away and neatly store under the table making it perfect for the smallest patios. Made of heavy-duty weather resistant steel you can be assured that this set is ok to leave out and will definitely last you a good amount of of time. The tempered glass tabletop is easy to clean and doesn't take away as much visual space as some of the other options. You can pick this set up from Bed Bath & Beyond for $179.